Social Network Sites have doubtless become part of our lives, facilitating communication and interaction between social actors. Within this frame users disclose personal information for several reasons while at the same time they express privacy concerns. “Privacy Paradox” reveals that despite privacy concerns, users, most of the times, fail to protect their privacy within SNSs, putting thus themselves and other users to risk. In this respect, several researches have shown that users’ privacy awareness increase is of major importance, focusing on the crucial role of education towards this. This research aims to explore the effects of a long-term University-based educational intervention for enhancing students’ digital knowledge and skills in order to protect their privacy in SNSs efficiently. 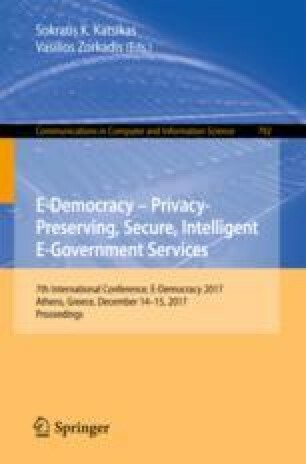 The educational intervention centered on a semester course of a Greek University, provides encouraging findings regarding students’ privacy awareness enhancement.